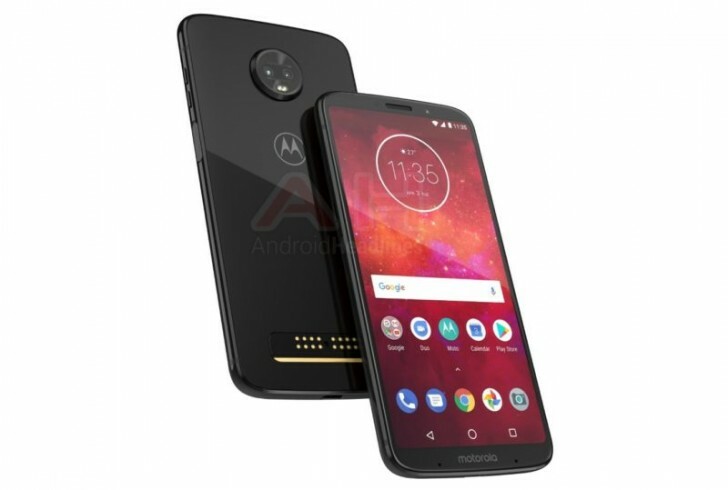 After Moto G6 and Moto E5 Series, Now Moto is working on Moto Z3 Play Smartphone Now Press render of Moto Z3 Play Leaked which shows 18:9 Display, Dual Rear Camera. There will be MotoMods support for Z3 Play and glass back. Moto Z3 Play to feature a 6.1-inch Full HD+ Display Powered Snapdragon 636 SoC, 4GB RAM with 32GB or 64GB storage variants.